Are you dreaming of a home with lots of open space? 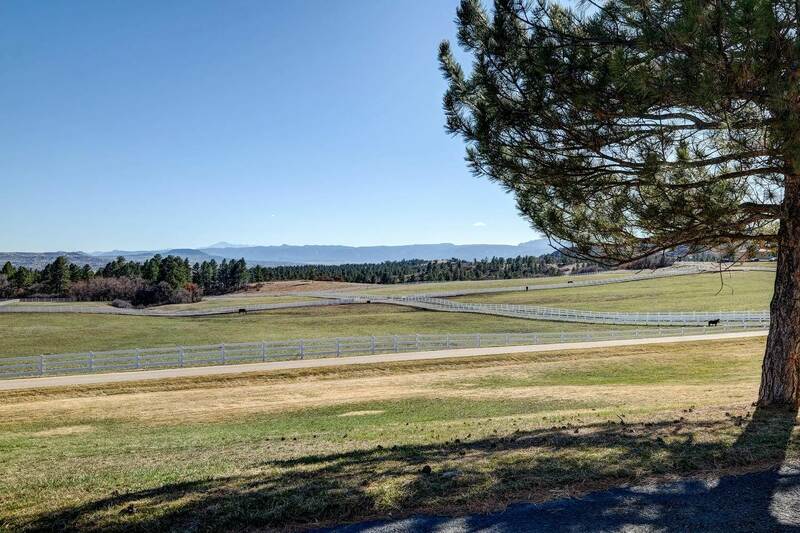 A designated historic site named the Pretty Woman Ranch is for sale in Douglas County. 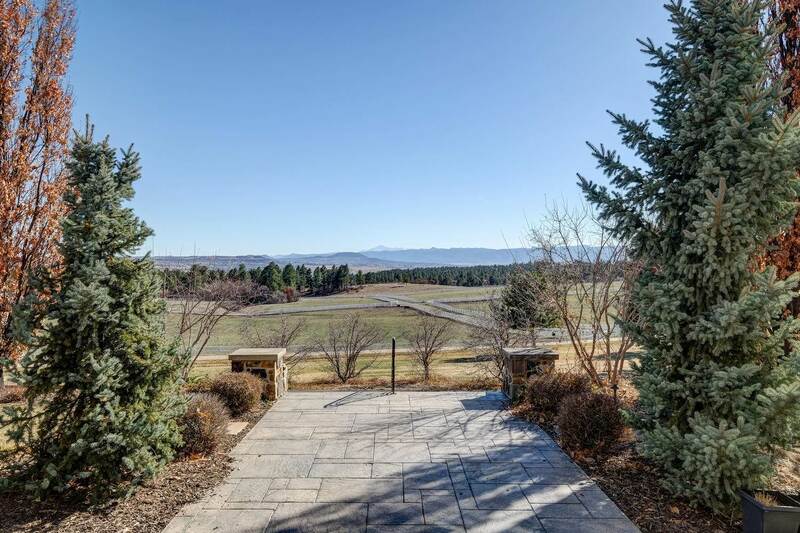 This unique property in Castle Pines North not only features 53 acres of picturesque green pastures and Rocky Mountain and Pikes Peak views -- it's surrounded by 4,000 acres of historic open space. 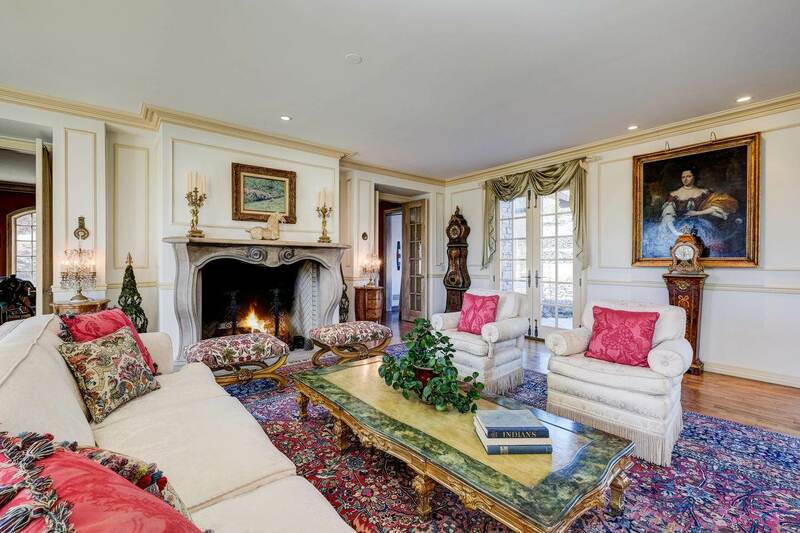 The home features an estate with seven bedrooms, five full baths and one partial bath. 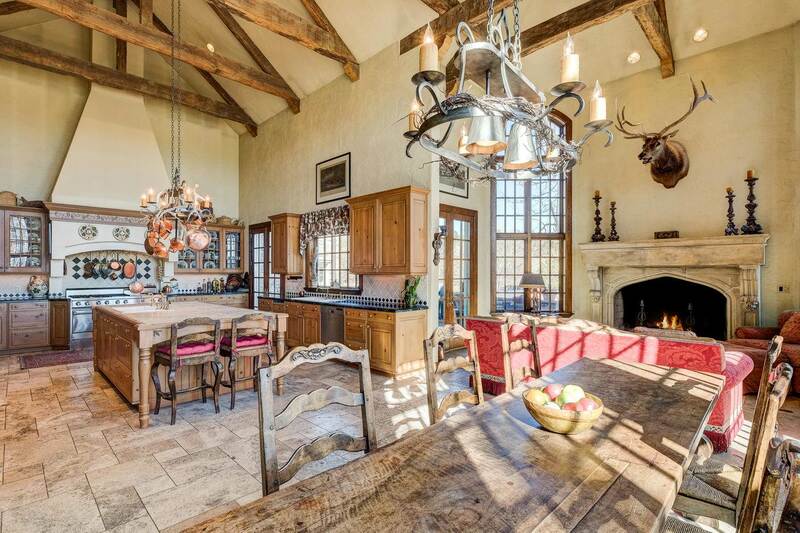 There is also an equestrian training facility, expansive barn, staff quarters and a caretaker's house. 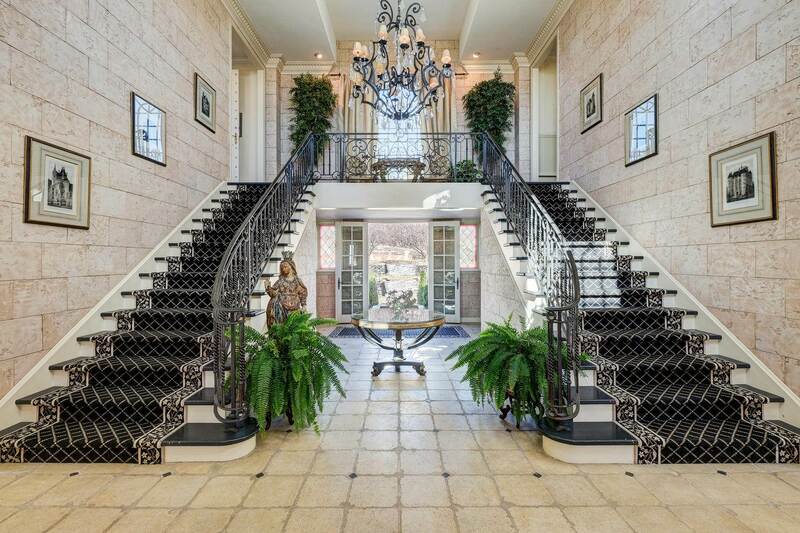 But let's go inside the 9,990-square foot estate home. 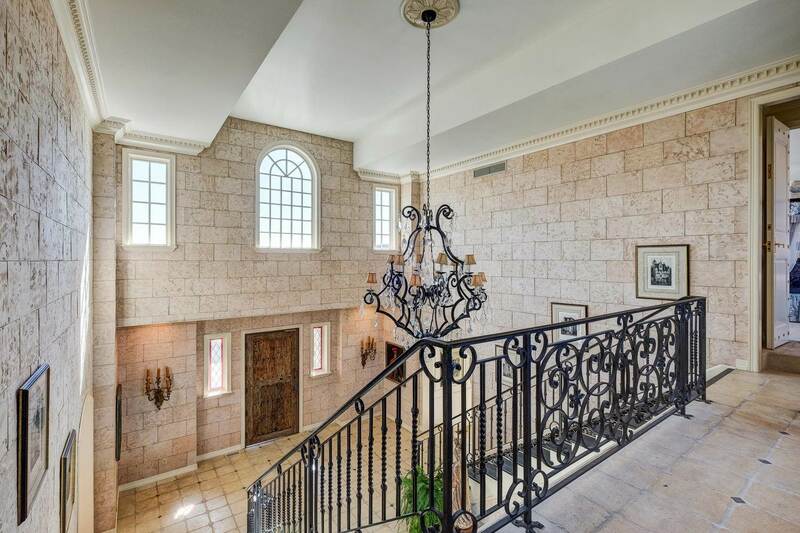 The front door opens to a grand foyer with towering stone walls, marble floors, stain glass windows, cathedral ceilings and dual staircase. Here's a look at the foyer from upstairs. 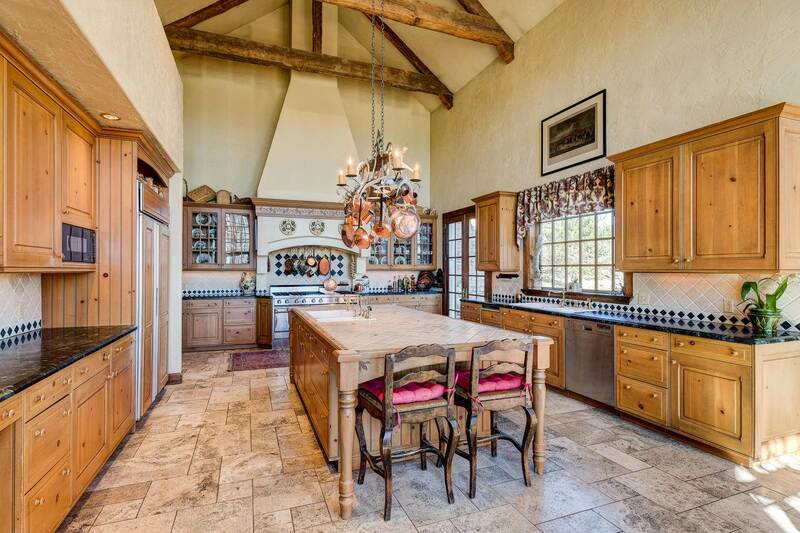 There's an eat-in dining table, sitting area and fireplace in the open kitchen area. 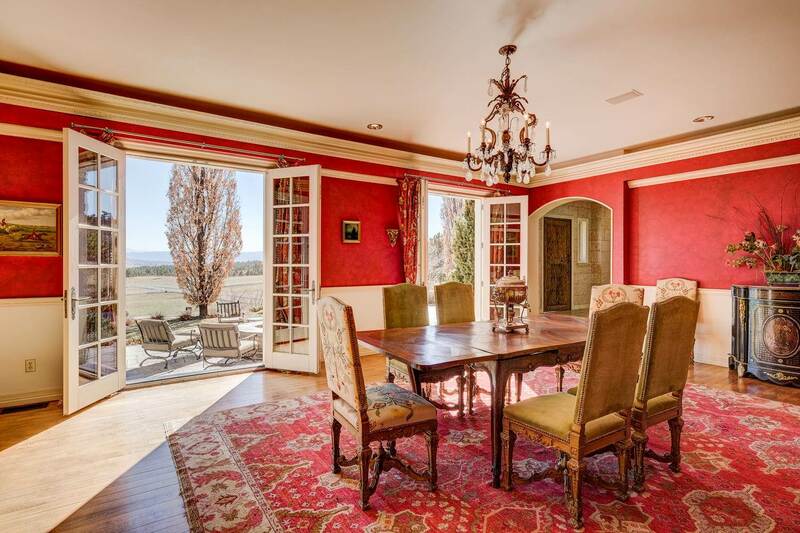 That dining area has a double set of French doors that open to the patio and fields. 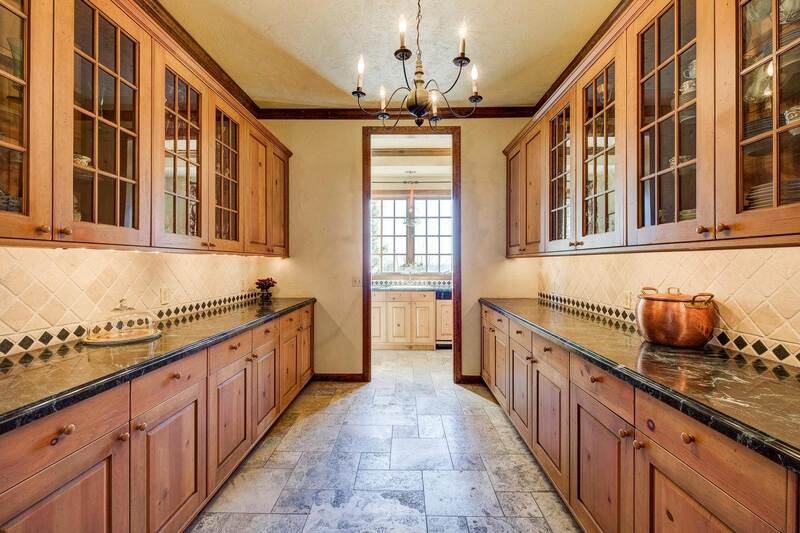 If the kitchen felt small to you, there's a large pantry to make sure you have plenty of storage. 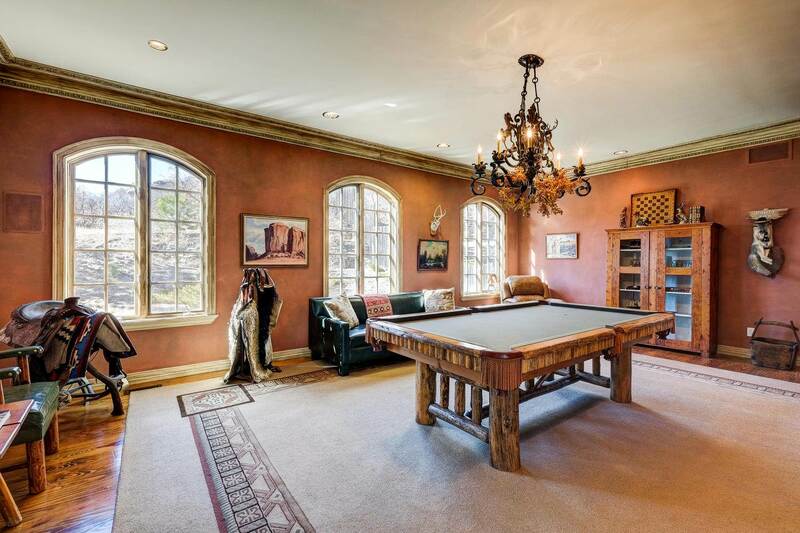 The estate features two offices, grand living room, formal dining room and this billiard room with space to add more games. 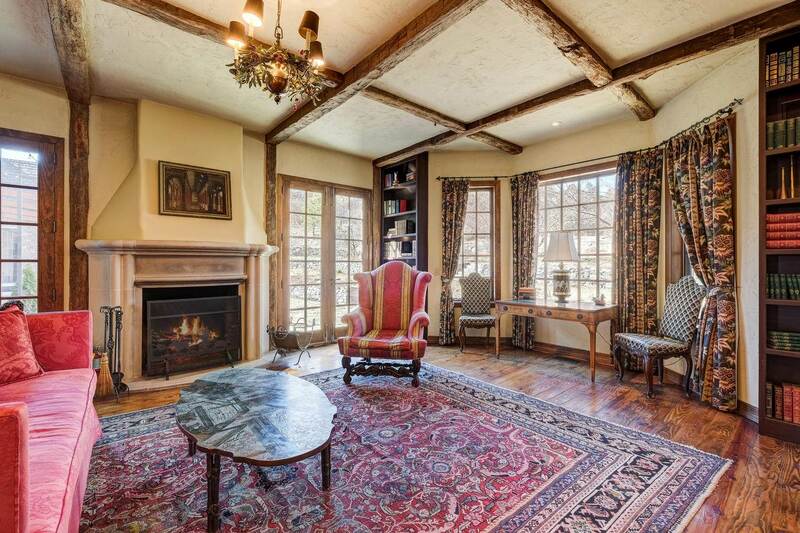 This room features just one of the home's five fireplaces and showcases the imported wood beams and wood floors that are throughout the home. 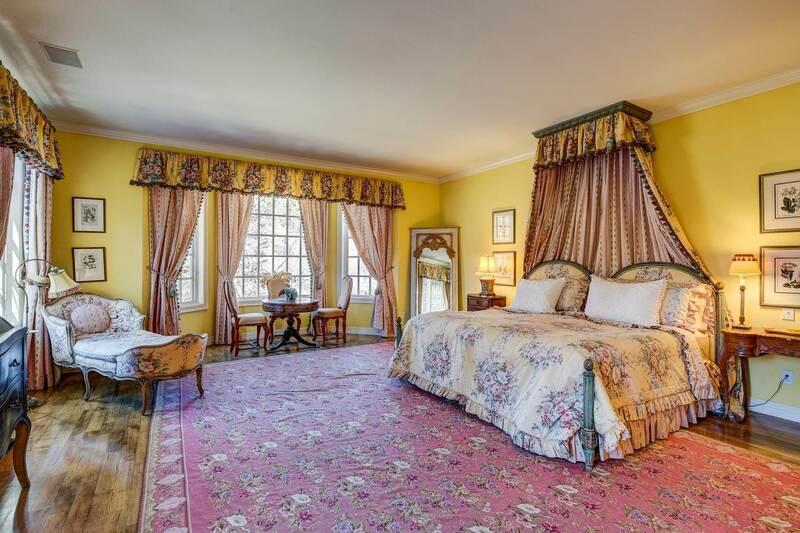 There are seven bedrooms -- we're nicknaming this one the yellow bedroom. Maybe we should call this the white or blue bedroom. 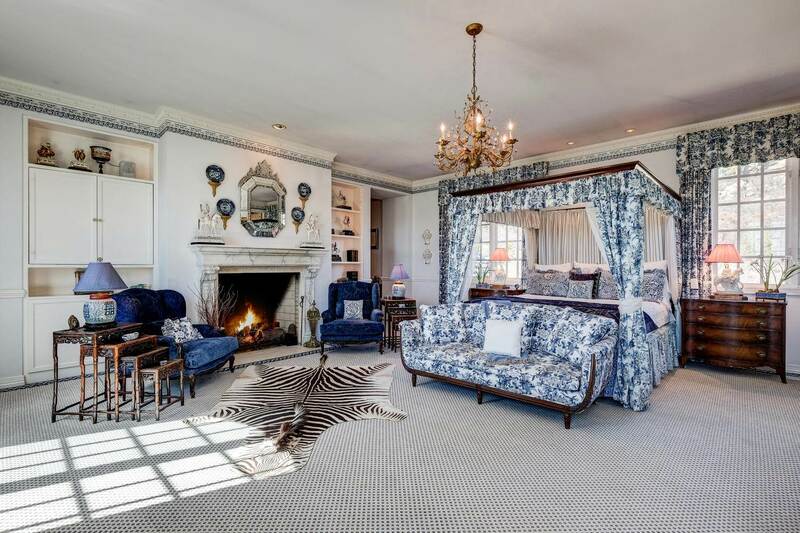 And here's another formal room with a fireplace. The estate, built in 1995, features front and back stone patios and a four-car garage. 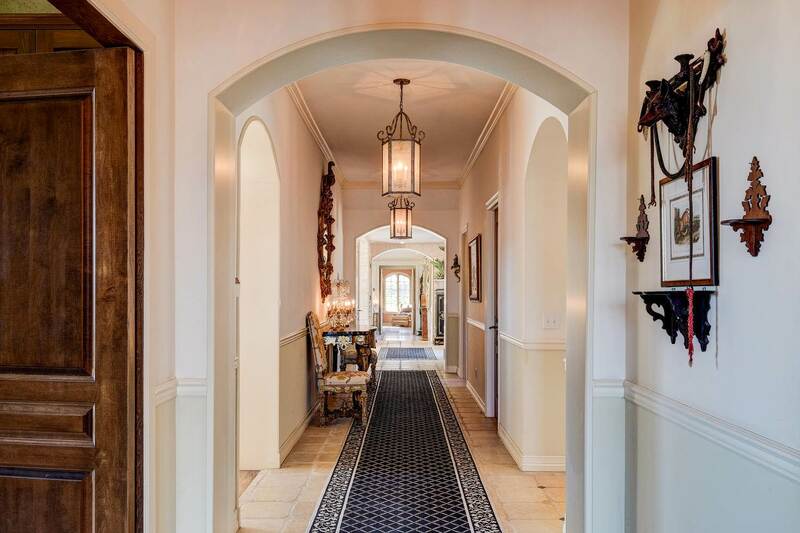 The real estate listing with LIV Sotheby's International Realty says, "Enjoy the privacy of secluded living while being only minutes from shopping, award-winning golf courses and the highway. 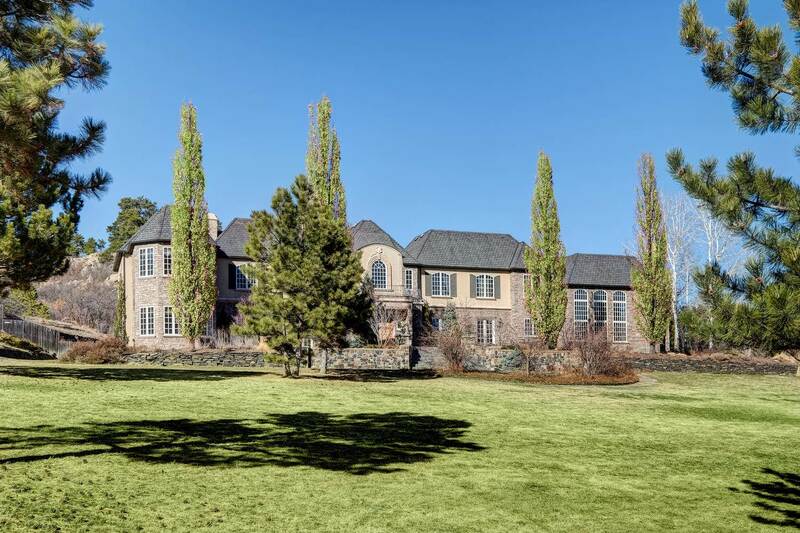 And only 15 minutes to Centennial Executive Airport and 25 minutes to Downtown Denver." The estate is listed at $8,999,000. Learn more on the LIV Sotheby's website .